The new movie, The Imitation Game, about Alan Turing and his romance with Joan Clarke, already has won rave reviews across Rotten Tomatoes, IMDB, Rolling Stone, and Roger Ebert. The effort by Alan Turing and about 10,000 other people at Bletchley Park was cryptanalysis. A cryptanalyst breaks codes or ciphers. The Enigma machine was a cryptographic device. Cryptography is the making and using of codes or ciphers. A cryptographer creates codes or ciphers. The general study of making and breaking codes and ciphers is cryptology. The Museum of the National Security Agency is open to the public and sells memorabilia. Encryption is putting a message into a code or cipher. 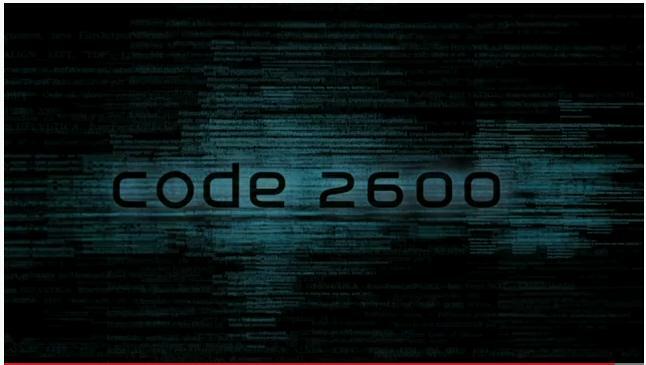 Decryption is the extraction of a message from its code or cipher. Decryption must be carried out by the intended receiver; but it might be done by anyone else who intercepts the message. A cipher (sometimes still spelled cypher) is an orderly substitution or rearrangement of characters. A=Z, B=Y, C=X, … is a substitution. Writing a long message out horizontally, then re-writing it vertically is a rearrangement. A cipher is an algorithm. It is easy to write a computer program that will take a message, encipher it, and print out the encrypted message. A code is a pre-arranged system of signals that have no direct relationship to the symbols they map. In baseball, the catcher’s signs and the constant fidgeting of the third base coach are coded signals. A computer program to encode a message requires a look-up table. A code cannot be reduced to a mathematical formula. The “Little Orphan Annie Decoder Ring” of the classic Christmas Story was actually a cipher disk. Leon Battista Alberti (1404-1472) was perhaps second only to Leonardo da Vinci in his range of achievements. For 500 years, the Alberti Cipher Disk was the essential cryptographic tool, capable of creating the Vigenere Cipher, a 26×26 polyalphabetic system. 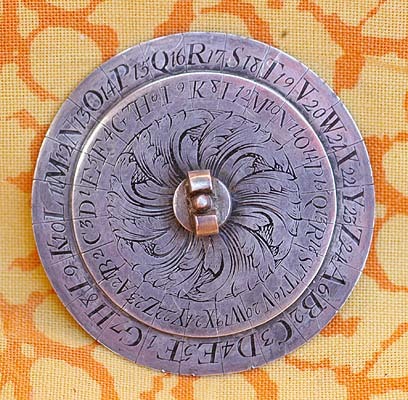 If you put “cipher disk” into a browser for images, you can find antiques and moderns. The NSA Museum store has sold replicas of the disks used by the Confederate States secret service. Geocaching is a treasure hunt or scavenger hunt game that includes GPS tracking and figuring out clues at each location. Geocachers often use cipher disks (even though there’s an app for that) just because the mechanisms are cool.